Students need to scientific measurement, particularly with respect to magnitude and computation. 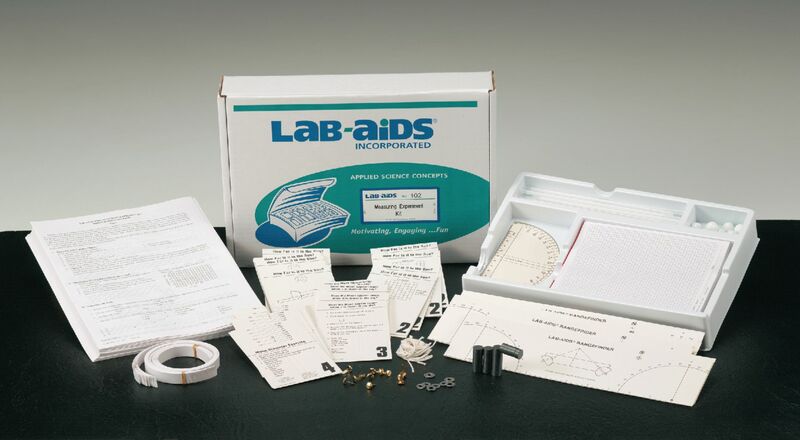 In this kit students perform 12 exercises covering measuring common objects; utilizing information derived from graphs; determining the Earth’s radius, diameter and circumference; and the use of baselines and a range-finder to determine distance. Ordering information: Materials include Brass clips, LAB-AIDS® rangefinder/earth rules, Magnets, Marbles, String, Paper Strips, Protractors, Graph paper, Straws, Weights, Sets of Student Activity Cards #1-#4.